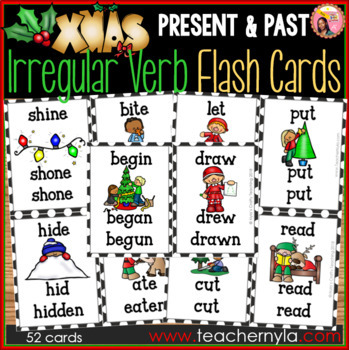 This is a Christmas themed Irregular Verb Flash Card set. 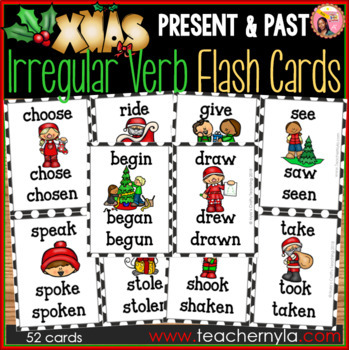 These Christmas themed Flash Cards show the present tense, past simple, and past participle forms of each verb to match the picture shown. The pictures have seasonal elements like Santa Claus, reindeer, Christmas trees, presents, etc. The cards are perfect for group work and stations. 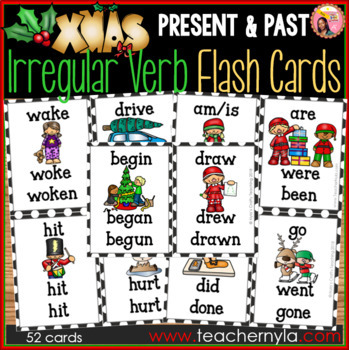 This set has 52 irregular verbs.